This is a guest post by Chris Stump about a topic we too often brush under the carpet. 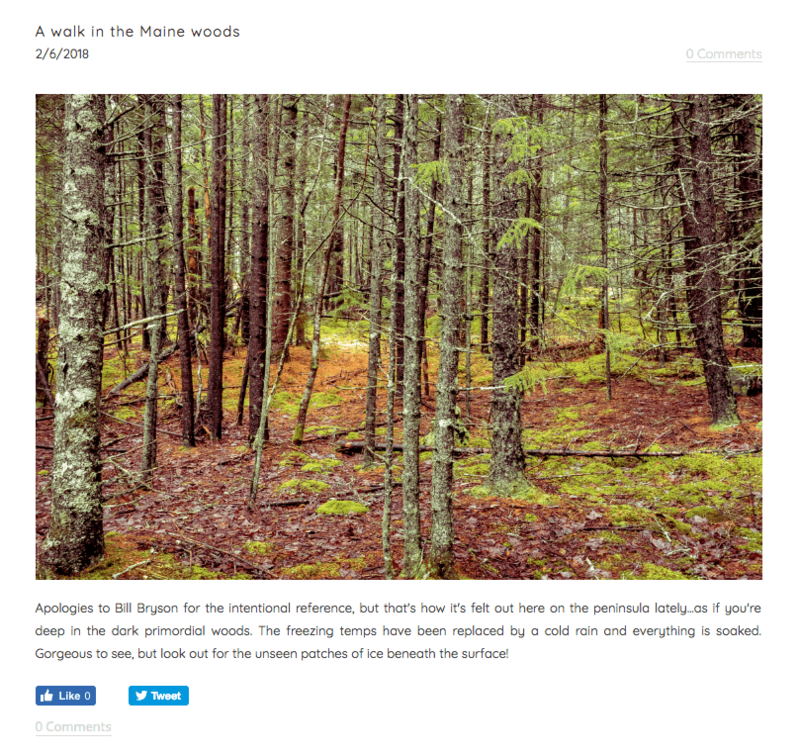 The author is a former colorlab owner living in mid-coast Maine with his wife and young son. He attempts to navigate the post-film world on a fickle DSL connection, and posts photo related observations on chrisstump.com. Thanks Chris !! I recently decided to really tackle an issue that has been plaguing me for some time…which is that after calibrating my monitor it is too dark to enjoy using. What follows is my related rant and voyage of discovery looking into this issue. I’d love to hear if you folks have any similar experiences and/or hopefully some solutions! Photographers like myself who consider our final product to be a fine art print are admonished by the industry that, much like the first step in being Instagram-famous is ‘be pretty’, the first step in making truly good print is to ‘calibrate your monitor’. And, like most, I take it one step further and do a full closed loop monitor and printer calibration. I happen to use an X-Rite ColorMunki. I expected that a pro calibration system would first go through and tweak my monitor’s brightness, contrast, and white point. Basically do the same thing an OS monitor calibration does, but with the accuracy of a densitometer. And, I expected that from then on websites, YouTube videos, movies, other people’s sites, and my own, would look vibrant and detailed and rich and, well, accurate(*). Then, after a printer calibration I also thought that a file sent to my printer via the newly created ICC profile would result in a print that was as close as possible to what I saw on the screen, given the difference between transmissive vs reflective media, inks, papers, etc. After the process was complete [and I’ve done this a dozen times] my resulting monitor profile darkened and warmed the screen by about two stops and 1000 degrees K. Below are examples. One note first of all…I took these with a phone right from the screen so that you could see what I mean. For some reason, and maybe this is a hint of something I’m still missing, the CMD-Shift-3 screen grabs on my Mac of both scenarios appear identical. Huh. Another player enters the octagon. What am I missing I wondered? I assumed once my monitor was officially calibrated it was perfected to some standard I didn’t fully understand, and then my printer was calibrated to be faithful as well. OK, but what did that mean, and why was my new, perfect, monitor calibration essentially useless for day-to-day use. I didn’t know. Based on the empirical observations above I finally started using the calibrated monitor profile *for printing only*, and then I’d switch back to a simple OS calibrated monitor profile *for everything else*…and this meant I created two versions of any file I wished to both print and post…one file optimized with the darker printing profile, and a second using the lighter ‘web’ profile. What a gigantic PITA. And, turns out this adaptation likely was not a workaround of something that was broken in my system, but rather it was the only way this stuff was going to work. Huh. How I confirmed this was to call X-Rite. The guy there was all like, yeah, no sh!t Sherlock. [I paraphrase]. The one suggestion that he and also the eminent Ming Thein had in response to my emails was that some browsers, Firefox in particular, were more ‘icc aware’. Well great. Should I, as was suggested, post a banner on my site saying “best viewed with such-and-such browser”, à la 2001? I think not. I was able to prove to myself how limited the value would be of that approach. Below are screenshots…one using a current version of Chrome the other Firefox. Do I see a difference? Yes. Does it reverse the calibration changes and make my printing profile match my default profile? No, not at all. One of these is Chrome and the other Firefox. I believe in that order, but the results are too similar for me to bother confirming. It appears that the accepted workflow is that when printing I’ll to go into Preferences, change my monitor profile, and then create a new version of files I wish to print based on this dedicated [darker in my case] profile. And then remember to change back to the ‘web’ profile for other work. So, my next question is: Why has no tutorial ever shown this flip, back and forth multiple times a day between the printing monitor profile and the web one? Or advocated for two monitors, one for web work and the other for printing? Why is there not some easy toggle in my taskbar or somewhere making this switch more simple? Why is there not a menu item in LR to ‘make virtual copy with [web or print] values’ [and a preferences setting for the default mode]? #734. Photography’s week links (9 June 2018) – Fringe benefits. Thank you for the informative article and answering a question that I have wondered about for a long time. Ahhh, having done 40 years(yawn I hear my mates say) and embraced technology, from pre press to print on all formats (gravure, Offset, print on demand to desktop printers) and having spoken at length about proofing, monitors, retouching in controlled light environment(colour of walls, ambient lighting, metamerism, people saving files as RGB then printing CMYK etc) I will add to your blog/missive by adding that its a veritable minefield of colour standards, calibration hanna hanna hanna ad nauseum…from simple densitometers to Spectros to screen soft proofing to print by numbers, I think I have seen it all…end of day, choose a regular printer for your hard copy, check a colour wedge and result to see if too warm too cold etc, then adjust your own colour so you get what you think you wanted……..that’s if the printer has not changed his inks or adjusted his profile or or or…….and so forth…( PS latest trend is very much print by numbers and profiles will come bearing only numbers from a common source so you can check your print….but that’s if you are using a profile that is universal and not the literally hundreds out there…sighs…it too much..
Rudi, we have a guru here who can produce colour gamuts for you, made to order – so that you know the printer you are using is tailored precisely to the paper[s] you are printing on. Only problem is it costs around AUD$200 per gamut (I have two, so I was given a slight discount overall). His colour gamuts aren’t stuck in 2010, either – they’re much nearer to the fully colour gamut that’s possible on this stuff. That – and the fact I fine tune everything on an Eizo screen that is self-calibrating – means anything wrong with what comes out of the printer is my fault for not getting the post processing right before I sent the shot off to the printer. And the whole thing means most of my post processing now is just fiddling around at the edges. Hi Chris. I can appreciate the problem – tried everything – well almost – got as far as regular re-calibrations, using a Color-Munki and the associated software – gave up, and bought myself an Eizo monitor. The first difference is the Eizo screen far more closely represents “true” colours. And the second – it calibrates itself, on a regular basis. What I find now, is horrible variations in the post-processing software. You’d like to believe they were all chasing the same rainbow – so put the same image in 6 different software programs and it would show in the same colors. Well ain’t that a joke! Several are way more garish than the old Kodacolor slide film, which was deliberately punched up to sucker the real amateurs. It’s not that I care – I am using these programs for different purposes – but it makes a farce of the advertising and promotional material the makers of these products put out. The final cut, for the colors & contrast, is a bit of a combination. Some DxO, some Capture One Pro and a touch at the end from our old friend Photoshop. (In my case, PSE14, is quite sufficient. If you have heaps of money to burn, amusing Adobe, then go for it – I can make better use of the money saving for the day when I can afford a DECENT tele for birds & wildlife, and astronomy, etc. PS CC offers me nothing that would mean more to me than that.) And there are several other programs that I draw down on occasionally, for specific corrections – because none of these programs covers the lot. 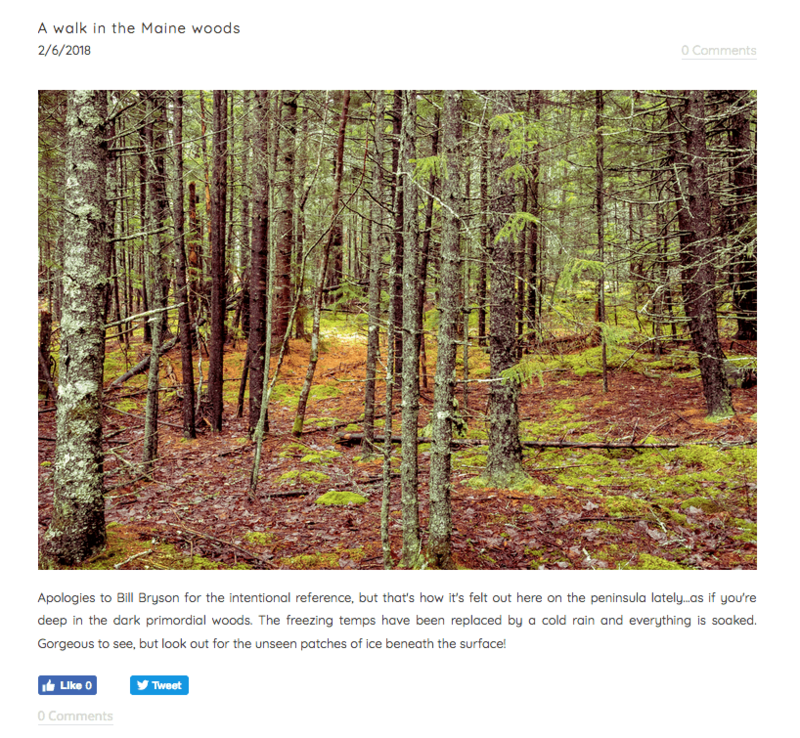 PROVISO – I post process, so that I can print my photos. The process is entirely different if your photos are to live and die in digi format, coming out of a digit cam, into a computer, and from there to a tablet or a smartphone, or some other digital site like Instagram. If that’s what you’re chasing, have fun – the color gamut and a heap of other factors is different from one digi screen to another, and chasing “perfect” colors in that environment is a bit of a farce. Get it right on your computer, export it to somewhere else, and try reviewing it there – better still, try doing that from some other computer. You’ll see what I mean, very quickly. Not to over-simplify, but doesn’t this just suggest that all those unwashed masses are viewing your web site on uncalibrated monitors which are too bright and too blue? In which case, making an image on a calibrated monitor is only going to result in images that look light and blue on 99.9% of the monitors in use. There’s nothing wrong with calibration if you are making images to display on calibrated displays. Else, all bets are off. …well not quite. while it is true that the displays of most viewers may be off, one of the most prominent features of our visual system is that it adjusts. that means that the majority of people with their too bright and too blue displays accepts them as being “neutral”: they know how professionaly mastered content has to look because they also watch movies, tv-shows or editorial photography on it, which has been created on calibrated equipment. Sure, if you did a measurement, or an a/b comparison between pro displays and consumer displays, you could show them the diffenrence, but since they don’t have that reference point, this blueish-brightish-“brilliant”-look is their ground zero. if your personal display, that you use to create something, has a colorshift to either side or poor gamma, you will create content that has a bias that leans to the exact opposite side, as you might subconscouisly compensate for your colorshift. And that very content, that has a built-in-compensation for the defects of your (and your alone!) equipment, will look “obviously wrong” to people, even if their own display are by no means neutral! I recently upgraded my printer from an EPSON R2400 to a Canon iPF Pro 1000. I calibrated my iMac using a Datacolor Spyder3Pro unit, probably hopelessly outdated by now. I don’t work in a completely light-controlled environment, so I have 3 display profiles set up: one each for sunny day, cloudy day and nighttime. I use a standard display profile for all my regular work plus post-processing files for my website. For all pp work on fine art prints I use one of my dedicated display profiles. These are just a mouse click away … I view my finished prints unter 5000° Kelvin lighting. Whereas I could never really get reasonably good colour-balanced prints on my EPSON, I am now always spot on with prints out of the iPF 1000. Printing has never been more satisfying. The color gamut of a printer and a display differs a lot. Usually a home printer is only a subset of sRGB, while better monitors can display more colors and hues within AdobeRGB color space. 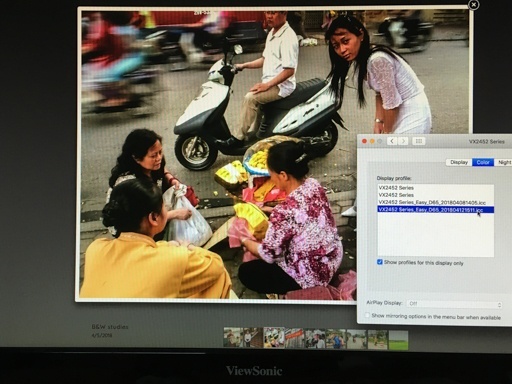 Now you want to optimize your photos for two different output devices. So you have to do the processing twice. But this is not a big deal with Lightroom for example. As soon as you enter soft -proof and choose your printer profile, Lightroom will automatically create a virtual copy and adjust the colors. You won’t have to change the monitor’s profile in the system’s setting. Therefore you have to calibrate your monitor and printer. Now when you adjust the colors in soft-proof to match them your original vision, it should fit more or less the final print you’ll receive. 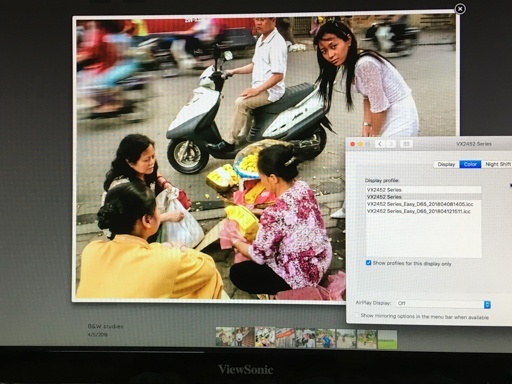 If you browser print-heavy photographer’s web portfolios, you’ll may find their photos look a bit dull and flat (like HDR-ish); especially from photographers using medium or large formats. But when you look at their prints, they look fantastic. They just live in their printing environment, and simply export their photos for their webpage without adjustments. So, you’re not alone. True professional photographers have their labs do the processing and editing. And for the browsers: Yes, Firefox (and I think Safari also) use the embedded color profile fully, as they should. Chrome is just optimized on speed and ignores color profiles (as well as some improved font rendering settings). It’s a bad browser through and through 🙂 However, you should export your web images using sRGB to avoid any problems, as this is the common color space on consumer goods. That doesn’t mean every display out there is calibrated on true sRGB gamut but it can (more or less) display all the colors and hues within this color space. At least, it is consistent with all other media the user sees. I, for example, am using AdobeRGB, never had any issues with it but on my first post here on DS, I noticed that WordPress ignores the color profile while rendering thumbnails and previews. So all my images got a greenish tint in the article but only were displayed correctly in the full view when clicked on the image. Now I export my DS images only in sRGB. Creating a export profile makes it just on menu item more.